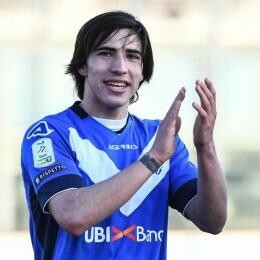 Turning 19 on May 8, Italian U21 international deep-lying midfielder Sandro Tonali, running for Serie A bounce-up as a Brescia powerhouse, is becoming more and more of a main target for Inter Milan. According to Tuttosport, Neroazzurri are planning to sign him, and then leave him with Leonessa for 2019/20, on a loan spell. The 2000-born is tracked hard by Juventus as well.